I knew last year I wanted to share my idea with you, but of course I had to wait until you were ready. 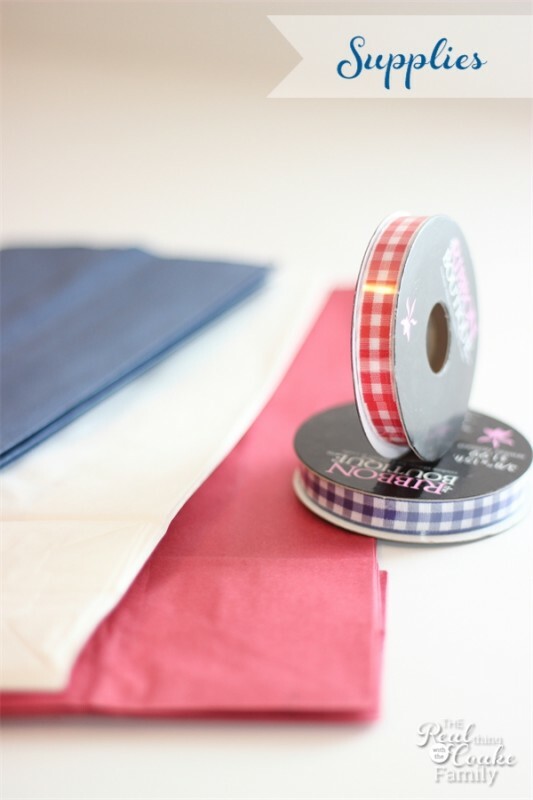 Since it is almost 4th of July, I thought you might be ready for my cute idea. 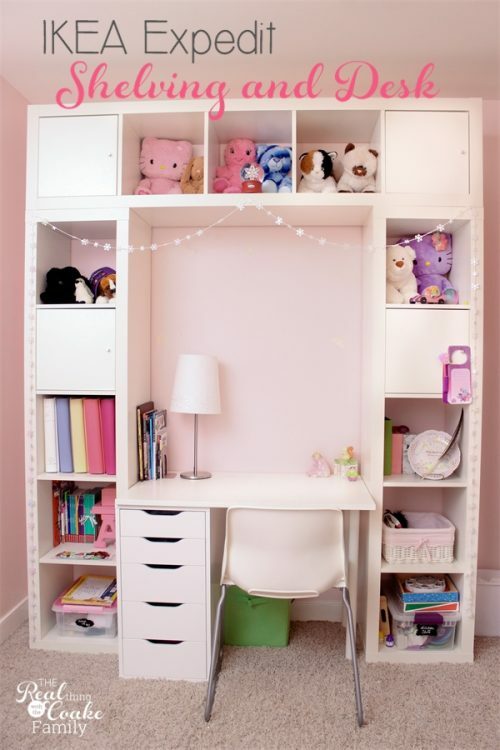 Not only is it cute and yummy, but it is also quick and easy to put together. 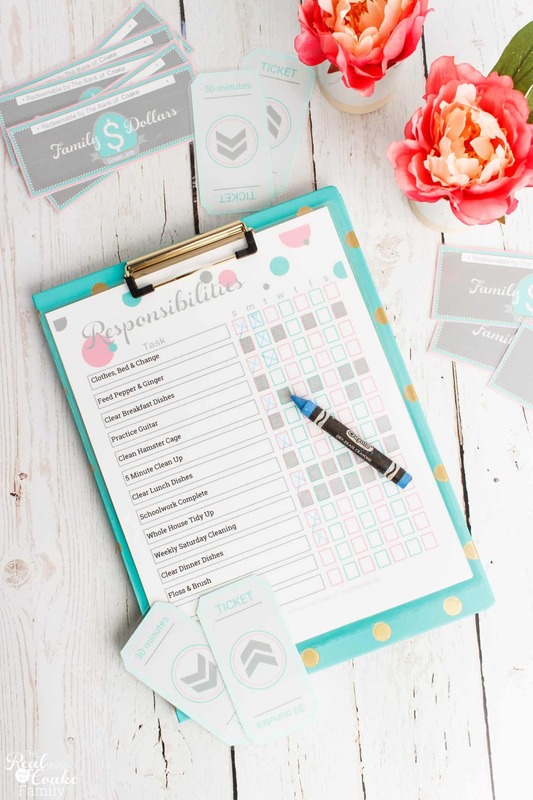 Umm…perfect for a busy mommy! Fold the top of your bag over. That way you can close it when the snacks are inside. If your fireworks are like ours, there is walking involved to get to the site. Having a closed bag will alleviate the dropping of snacks out of the bag and the crying of children who have lost snacks. 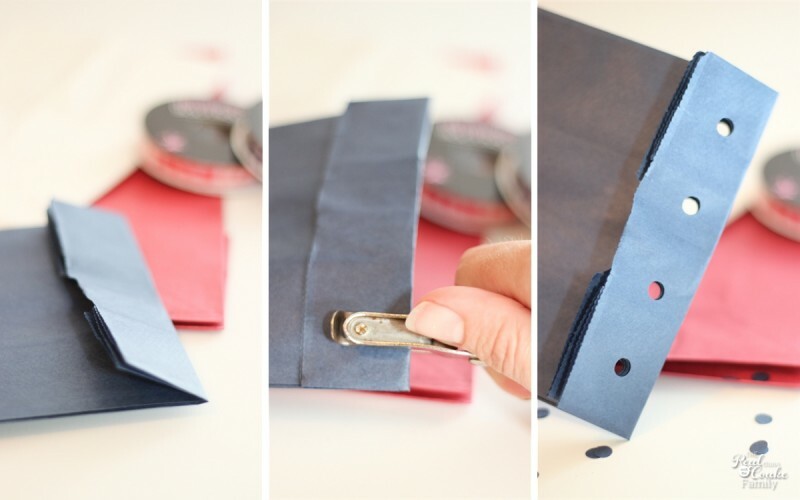 With the bag folded over, punch at least two holes across the top. I did 4 this year. I think last year I did 3. It is just your preference. Fill your bag with your snacks. 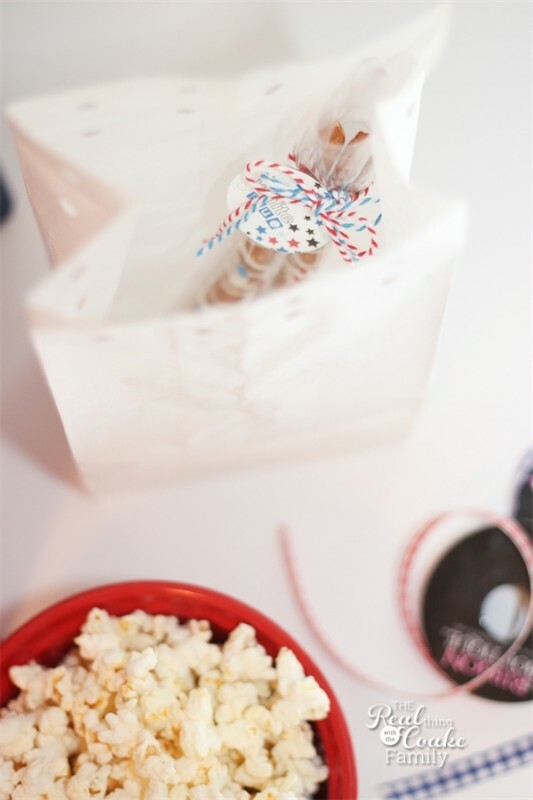 I filled ours with the 4th of July pretzels I made. I filled in around the pretzels with the delicious all natural homemade popcorn I showed you how to make earlier this week. 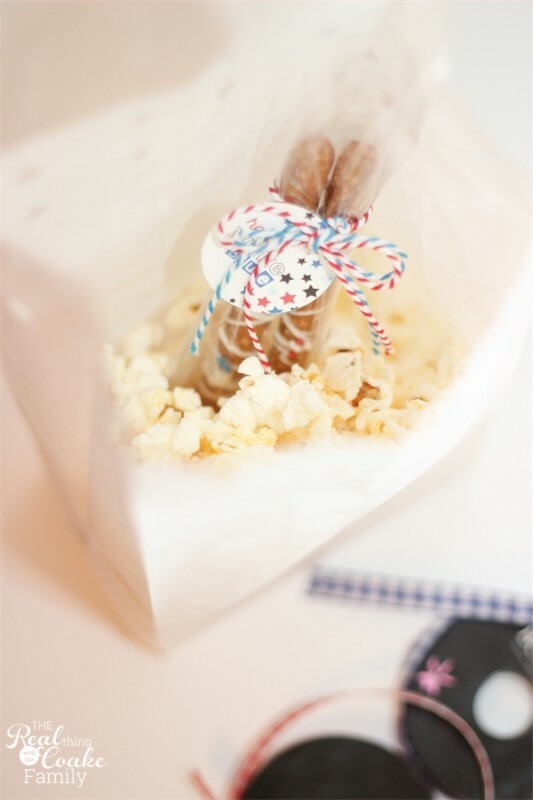 Once you have all your snacks in the bag, weave your ribbon in and out of the holes you punched earlier. 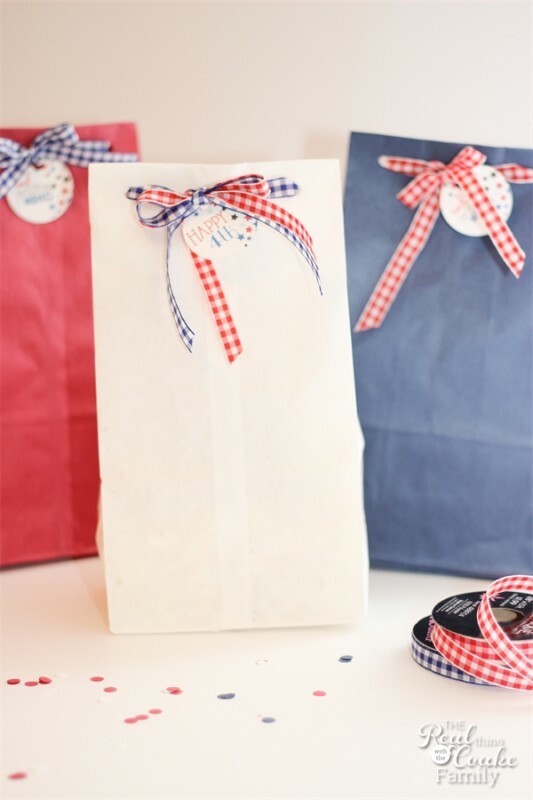 Tie the bag shut with a cute tag and bow. I made the tags you see pictured. You can download them, print them out, and use them on your bags if you like. Download them at the bottom of this post. Can't wait for the fireworks and the fun of the 4th of July! 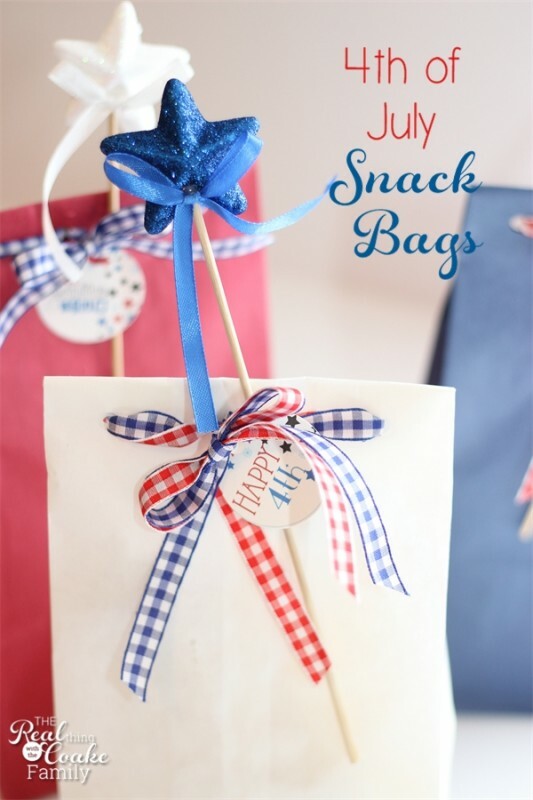 Also can't wait to eat our yummy snack bags. 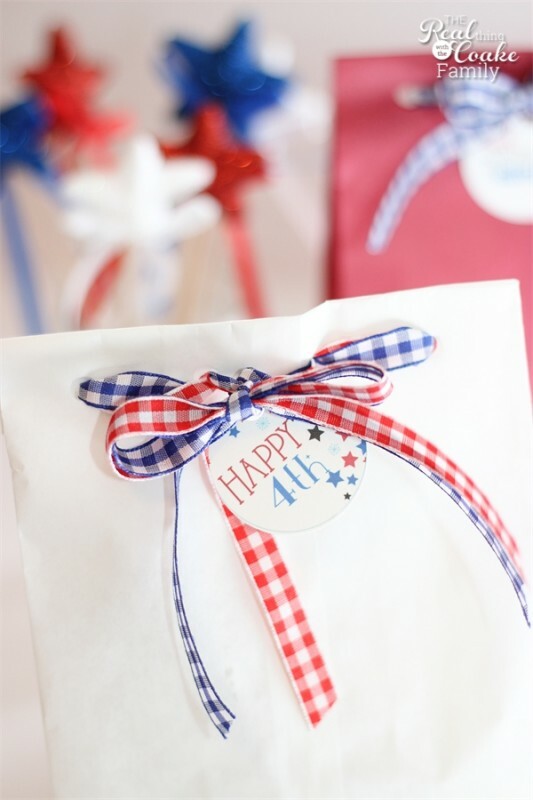 Just sign in(or click if you are already signed in) below to get your free printable 4th of July tags. 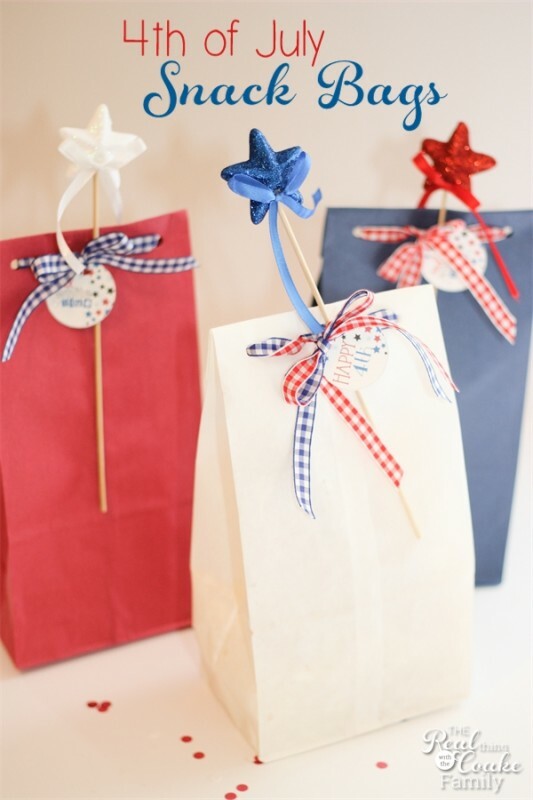 How cute would these be as take home treats for the kiddo’s and adults a like. They would be so cute…and yummy, too!